“Hear that the king of England has had a fall from his horse, and was thought to be dead for two hours. His lady miscarried in consequence.” This was written on February 12, 1536 by the Bishop of Faenza, according to Letters and Papers, Foreign and Domestic, Henry VIII, Volume 10. Was this the turning point for Henry VIII, the accident that changed him from Renaissance Prince to raging tyrant? We know that it was one of the turning points for Anne Boleyn as she was executed later that year. Could there be more that just this one accident that changed the King? This is one of the things that started me researching the treatments from Henry VIII’s court. The main information I set out to find was what sort of treatments could fill in the gaps from the lack of records left by his Physicians. 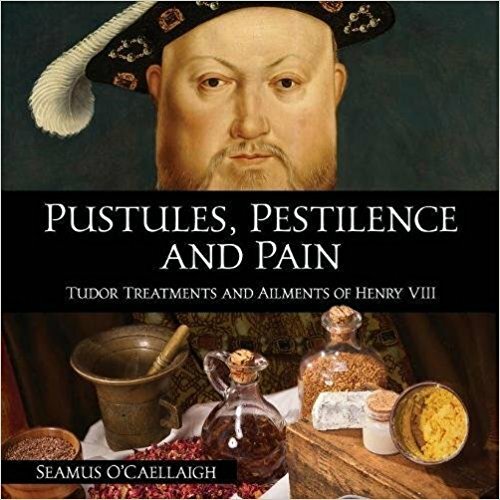 I found many interesting things during the research of my book Pustules, Pestilence, and Pain: Tudor Treatments and Ailments of Henry VIII. The medical staff of Henry VIII of England left gaps in the medical history of Henry. While it could be that the records have just been destroyed or lost somewhere in the centuries, it is very likely that Henry VIII’s physicians did what many royal physicians seem to have done and did not keep records of what they did to treat the royal family. It is possibly for their own protection that they did this. When writing my book, I approached the filling of these holes by first finding references to his illnesses in letters from his court and from first-hand accounts, written by courtiers and staff. 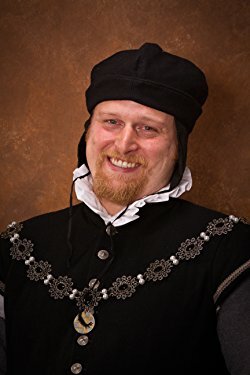 Next, I analyzed works written by Henry’s physicians to determine what Tudor physicians would have done to treat the various ailments Henry suffered from. Using the works of Henry’s medical staff, I recreated some of the identified treatments, and I examined the ingredients to look at the history of their uses through early medical texts, and at the harmful effects that could have happened because of our knowledge now of modern medicine and science. 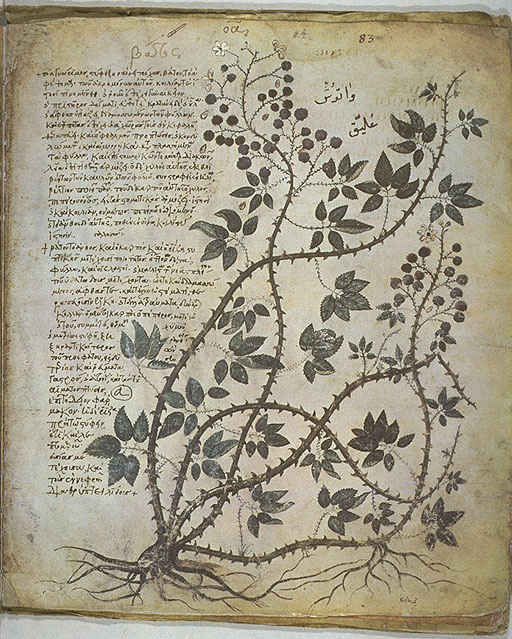 Image: Illustration of a blackberry from Vienna Dioscurides, an early 6th-century Byzantine Greek illuminated manuscript of De Materia Medica. I am a member of an international historical recreation group that focuses on various aspects of pre-17th century life. We have a robust group of artisans that recreate most parts of the Arts and Sciences of the time. Within this group I am an apprentice apothecary and live in Tudor England. The desire to expand the knowledge of my craft has lead me to reading various herbals, a book that describes herbs and their medicinal properties, from Dioscorides’ De Materia Medica, to John Gerard’s Great Herball, or, Generall Historie of Plantes. These medical texts and many more have been published over the last couple decades. 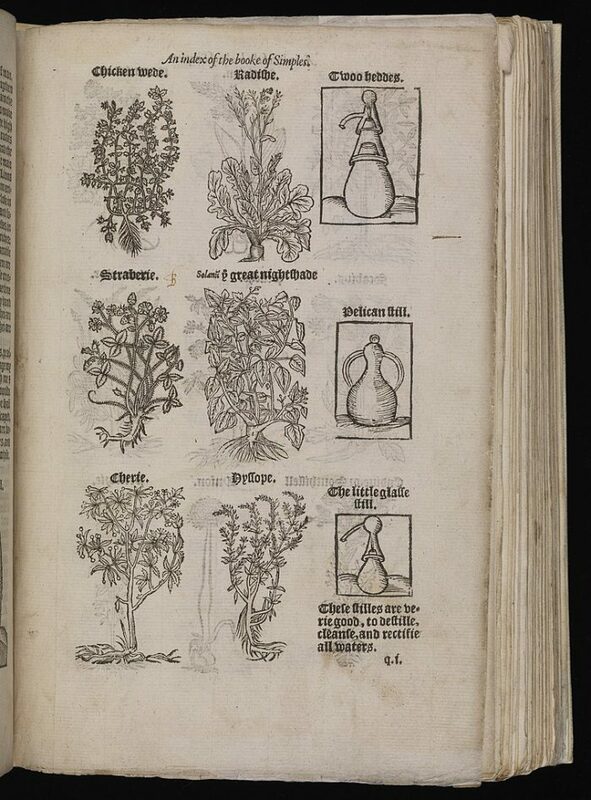 While the herbals like De Materia Medica where referenced for almost 2,000 years, and we know they were an important part of the medical world in Tudor England, the written works of Henry’s Physicians have not been published recently. This desire to look at more unknown sources, along with my love of all things Tudor and apothecary, is why I started my journey to what would ultimately be my book. 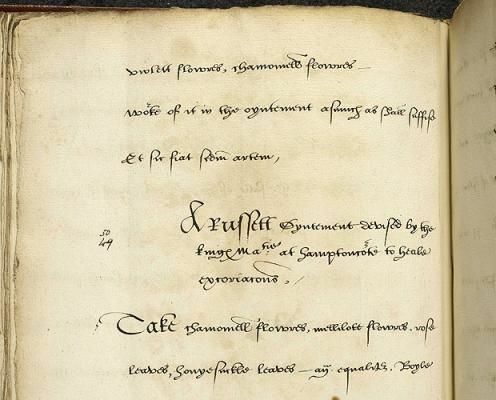 Image: Henry’s prescription book contains various recipes for treating ulcers and balancing humours. Housed within the British Library with the Sloane Manuscripts. My research started with the search for primary sources written by Henry’s medical staff. A few of Henry’s medical staff wrote books, but only one text was written with the help of Henry himself. “Henry’s Little Prescription Book” or “Dr. Buttes Diary” contains around 200 recipes for Tudor treatments and approximately half of the treatments are thought to have had Henry’s own hand in the creation of it. According to the British Library, authors include Walter Cromer, MD; John Chambre, MD, delivering doctor of Princess Elizabeth, and Prince Edward; Sir William Buttes, physician to Anne Boleyn, George Boleyn, Jane Seymour, Duke of Norfolk, and Henry’s son, Henry Fitzroy; and finally, Agostino degli Agostini, physician to Cardinal Wolsey. All four were also on the personal medical staff of Henry himself. This handwritten book is in the British Library, though the variety of names that this book is called made it hard to find, as well as only being handwritten and never published there is only the one in existence. The British Library lists it as Sloane Manuscript 1047, however it is not electronically available yet and is only available if you order copies of the original from the library directly. Image: Woodcut from The Book of Simples written William Bullein and contained within Bullein’s Bulwarke of Defense. Another source that I found very interesting was Bullein’s Bulwarke of Defense against All Sicknesses, Soreness, and Wounds That Do Daily Assault Mankind: Which Bulwarke Is Kept with Hilarius the Gardener, & Health the Physician, with the Chirurgian, to Help the Wounded Soldiers, written by William Bullein, Nurse Surgeon of Henry. It was the first English text to discuss the sweating sickness that struck London in 1517. He was never found in the roll of the Royal College of Physicians and that is why he is referred to as a Nurse Surgeon. 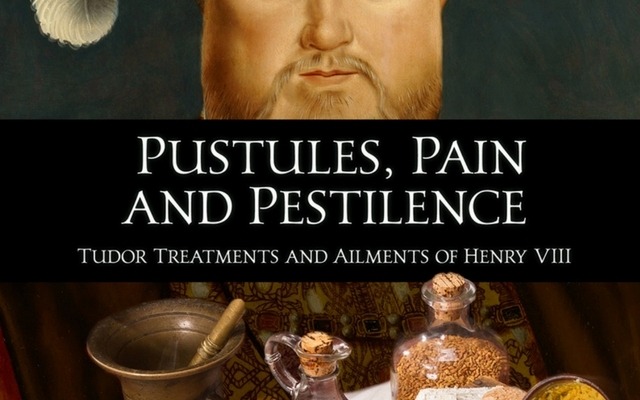 He wrote a few other medical texts during his life and his works are wonderful examples of Tudor medicine and open a window into the health concerns that Tudor people struggled with daily. 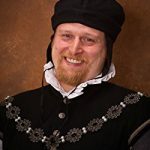 Why the physicians of the Tudor era chose to use particular treatments can be based off of the medical texts of previous or the texts written by their contemporaries, but there were also some other tools at their disposal. 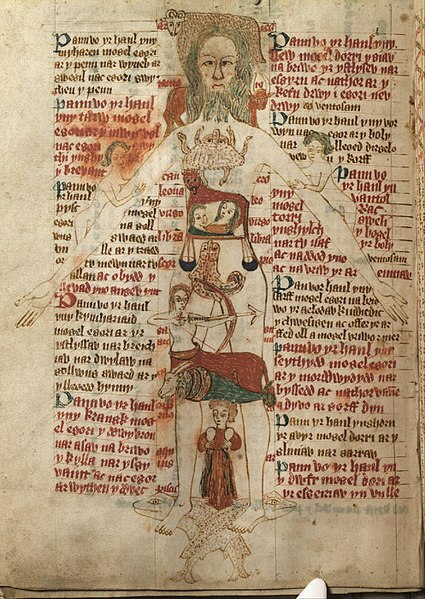 Some of the diagnostic and prescribing tools that I found interesting include, the Humors, the zodiac man, Doctrine of Signatures and Uroscopy. The Humoral theory may have origins as far back as ancient Egypt, but it was not until the 400’s that it was really put into use in a systematic way. The idea was that each of us contain 4 humors: Blood, Phlegm, Black bile and Yellow Bile. When this balance, which is different for each person, is out of balance then you become ill. Plants, as well as food, activities, types of air, and clothing all can affect this balance and help to rebalance or shove the balance farther out of whack if the patient does not follow directions. Image: The Zodiac Man, a reference to help a physician to determine what treatment was best for a body part ruled by one of the 12 Zodiacs. The Zodiac Man is part of the theory that originally started during the Hellenistic era, between the 4th and 1st Century BC, that various parts of your body are ruled by one of the 12 Zodiacs. Aries – Head, Cancer – Chest and Capricorn- knees, for example. This effected the treatment you would use based on the alignment of the stars, what zodiac ruled over the ailed part, what zodiac ruled over the disease and what zodiac or planet ruled over the plant used to treat the ailment. All these affected what a physician would use to treat the patient. A great place to look at plants and what ruled them, though published 50 years after the last Tudor Monarch, is Culpeper’s English Physician. All of the 300 some plants included in his Herbal give the ruling planet and or Zodiac. Doctrine of Signatures, though the concept was really developed to a higher level in the 1500’s, was used as far back as the 1st century and was part of the medicine taught by Dioscorides and Galen. The idea behind the Doctrine of Signature is that the plants tell the physician what they should be used for. Eyebright, a plant from the family Orobanchaceae or broom-rapes, for example looks like little eyes and thus should be used to treat the eyes. Liverwort is another example, with its liver shaped leaves it was believed that this pointed to its use for liver ailments. 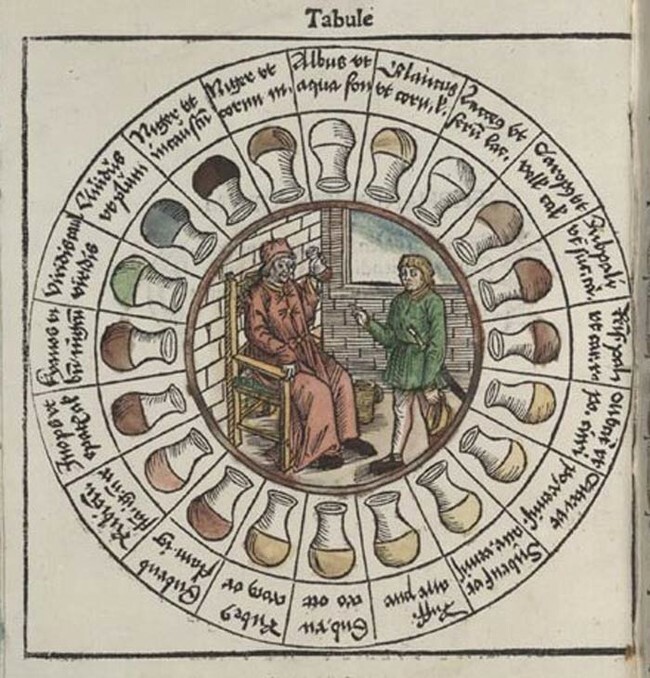 Image: A urine wheel used as a reference for physicians when examining a patient’s urine. Finally, Uroscopy, one of my favorites, is the study of urine to determine the ailment. What color is the urine? Does it have things floating in it? Does it have a weird smell? How does it taste? In the medical text written by the Physicians of Mid-fi there for example it was written that if a patient has bluish-white urine and the person has a fever then they are in great danger or if the urine is blue then they have an infection of the internal organs. These are not the only tools available to a doctor, but they are some of the main ones. One of the most interesting thing I found was something that I think gets overlooked, and that is the possible reasons that Henry had some personality changes through out his reign. The well-known jousting accident, mentioned previously, is often stated as the turning point that caused Henry’s personality changes. Other reasons could be, or more accurately factors that added together are, the constant pain he was under with his leg wound, the stress from advisors to secure the succession of the throne, and what is most overlooked, the effects on Henry’s health from the treatments used to try and heal him. Sometimes the treatment to treat an illness is worse than the ailment. 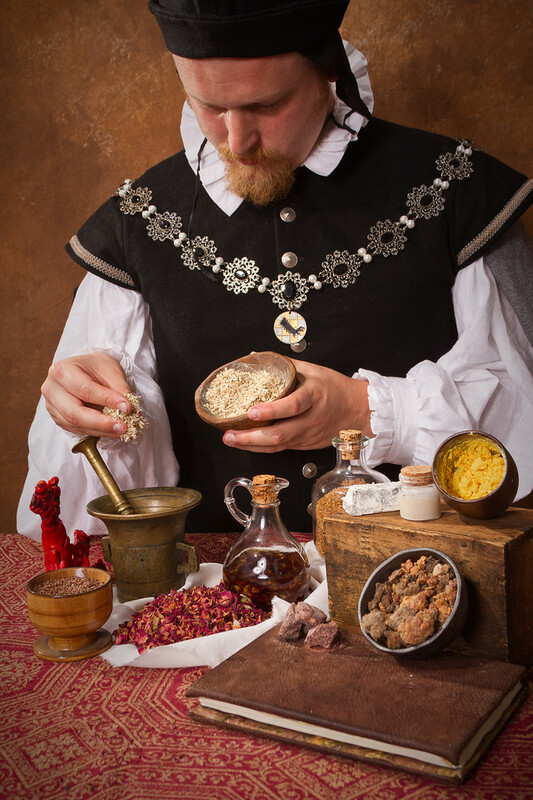 Image: Image by Vocaleyes Photography for Pustules, Pestilence, and Pain: Tudor Treatments and Ailments of Henry VIII. According to the Mayo Clinic lead poisoning in adults can have the following effects: high blood pressure, joint and muscle pain, difficulties with memory or concentration, headache, abdominal pain, mood disorders, reduced sperm count and abnormal sperm, miscarriage, and stillbirth or premature birth in pregnant women. This seems like if lead was an ingredient in a treatment for your swollen legs, that you would not want to rub it onto your skin. However, one of the treatments in Henry’s Prescription book has three types of lead in it. We have the benefit of looking back at hundreds of years for study and development of science and the medical field into modern medicine. Henry’s Physicians did not have the benefits of our knowledge and many of their treatments could very likely have caused more harm than help. Writing this book was an experience I would not change for the world. I learned so much and the path I followed while researching the ailments of Henry VIII and Tudor treatments left me with many other ideas and rabbit holes of research to follow. Who doesn’t want to recreate a urine wheel or recreate all the treatments in one of the medical texts written by these Tudor Doctors, but I also got to create a window into the medicine from the court of one of the most notorious Monarchs in British History. Those gaps in the medical history of Henry are filled with probable treatments, and ailments and even treatments that could affected Henry’s mental stability are examined. It is truly not a case of one jousting accident changing the outcome of Henry’s Life. I haven’t seen any supposition that Henry suffered from diabetes due to his weight. That would explain why the leg wound would not heal. That is a very likely possibility. I wish we had records from his Physicians who tested his urine to know if it was sweet.